As a marketer, I can appreciate a well-done infographic - and this infographic is especially awesome. 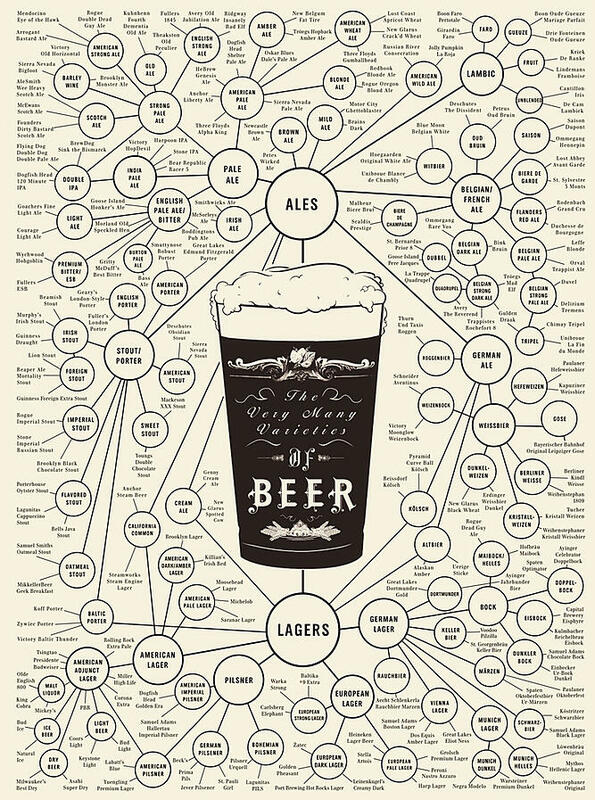 It organizes the many different styles of beer in an easy-to-understand and consume format. Breaking down the two major styles of beer - ale and lager, and then breaking those down further. It even gives suggestions on iconic and note-worthy styles of beer from that genre. 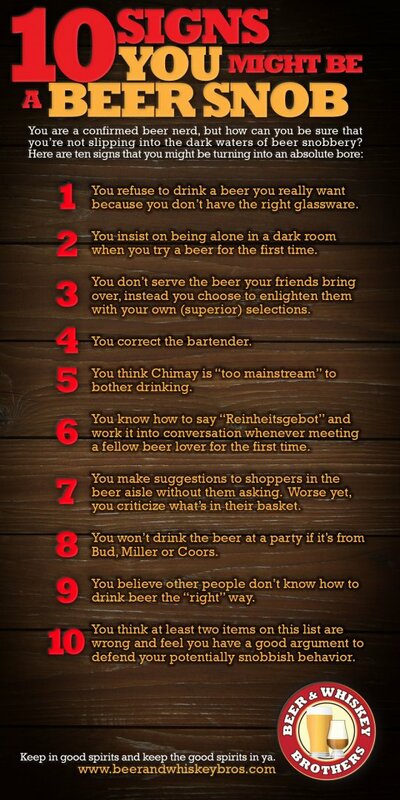 I came across this hilarious infographic of "10 Signs You Might Be a Beer Snob" on BeerandWhiskeyBros.com and had to share it.